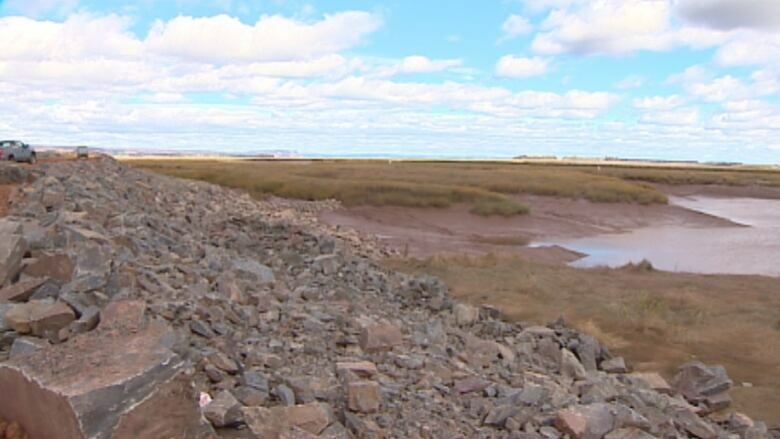 Scientists say climate change is threatening hundreds of kilometres of dikes that line the coasts and tidal rivers of Nova Scotia and New Brunswick. They were first created by the Acadian settlers of the 1700s, one shovel full of clay-rich soil at a time. 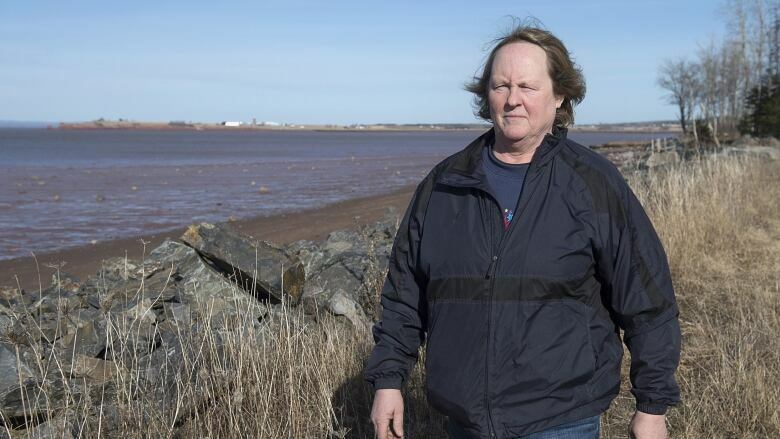 But geomorphologists who study the changing shape of the coast say climate change is threatening anew the 241 kilometres of dikes that line the coasts and tidal rivers of Nova Scotia, and another 100 kilometres in New Brunswick. A recently completed draft study by a team of geographers at Saint Mary's University in Halifax indicates 70 per cent of the dikes in Nova Scotia are now vulnerable to even a one-in-50-year storm. Danika van Proosdij, a geographer who leads the Saint Mary's team, says the fixes needed now are far more complex and ambitious than the renovations led by Ottawa in the last century, which rebuilt poorly maintained dikes. "It's a different battle," she said. "It's not just rebuilding dikes in place and shoring them up. It's actually changing how we design our dikelands and we protect our dikelands to a changing climate and forces that are greater than we've seen in the past." A 1987 book, Maritime Dykelands: The 350 Year Struggle, describes the outpouring of federal support by the Maritime Marsh Rehabilitation Agency in the 1950s as the "decade of salvation." A bit further along, neighbour Anne Crowe's recently restored lowland fields flourish and grow enough hay to feed a quarter of her 100 head of cattle. Boulder-sized ice blocks that glisten on the chocolate brown beach appear benign at low tide, but Anthony and Crowe have watched them play their role in erosion when Fundy's tides rush in. The shining ice rides up to the crest of the dike's armour rock, fuses into the stone, and drags it piece by piece into the sea. "The field at the end [of the dike] is washing away, so we need some kind of solution for this end of the structure," said Anthony, standing a few hundred metres from a home she fears would be flooded if the dike's rearguard gives way. However, van Proosdij says the problem isn't simply that seas are closer to the top of the dike, but the foreshore — the beach in front of the women — is being eroded by the sea. That means that simply raising a dike like Noel's isn't the only answer, as it's the foreshore that ultimately protects the dike from being battered by the mighty current. "Noel is a high vulnerability [dike], the rate of erosion for that area is quite high," she says. A team of experts will need to identify portions of the Noel dike that could be moved back or altered, she said, to buy the community more time and "provide a greater ability to save their lands for the future." "We're talking about fossil fuels and let's not burn too much — if I have to bring feed in from Quebec or Ontario, that's going to take a lot more fuel than me just bringing it in from [my field]," she said. "Area stable, however erosion at graveyard is at risk of washing around the dike," an inspector says about a dike further down the shore from the Burntcoat dike. The notation for the Kennetcook dike says its elevation is low and "on some high tides water over flow the dike." Bekkers also says he's busy applying for money from the federal National Disaster Mitigation fund. 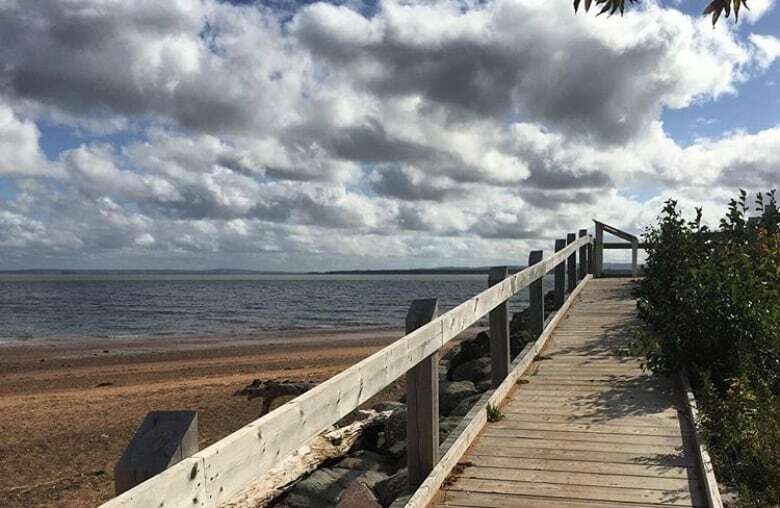 These improvements would "strengthen the resilience of dikes" in the Annapolis River, the Southern Bight, the Cumberland Basin and along Cobequid Bay, the email says. "It's a real worry," says Crowe, gesturing to her family marshland. "We have to reinforce these things and keep them going. If it works in Holland, it should work here."